Pre-Requisites – Candidates must hold a Certificate of Competence for Chainsaw Maintenance & Cross-Cutting (CS30 / 0020-03) Felling Trees up to 380mm (CS31 / 0020-04) Tree Climbing & Rescue (0020-13 / CS38) Aerial Cutting of Trees with a Chainsaw (0021-08 / CS39) & Aerial Tree Rigging (0021-09 / CS41) prior to attending this course. This course will refresh trainees with the appropriate techniques and underpinning knowledge to ensure that they continue to be confident when working within forestry, arboricultural or allied industries. It will also ensure awareness of current health and safety legislation, and industry good practice keeping individuals up-to-date and skilled. The course is designed to be short, sharp and focussed and will provide refresher training for trainees already Lantra Awards trained and/or certificated for this activity. They are not to be used as a substitute for novice operator training, nor will they offer the wide range of skills needed for inexperienced operators to work safely. Identify, inspect and comment upon key parts of the equipment to be used. Prepare the equipment for use ensuring the safety of themselves, other people and the environment. 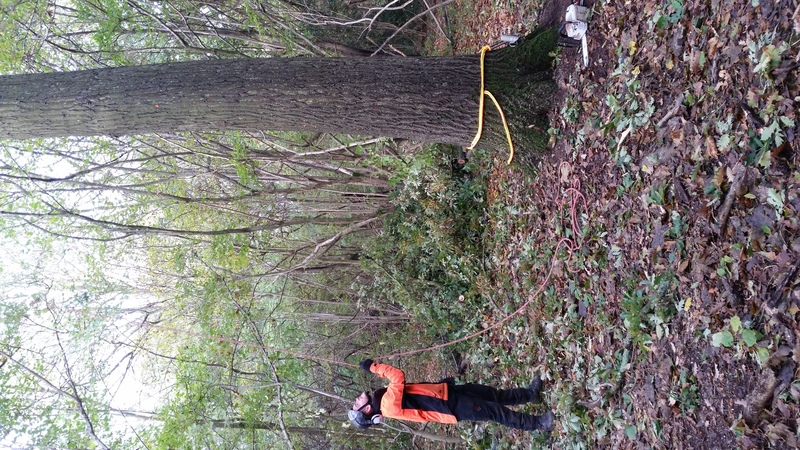 Operate a chainsaw whilst maintaining a working position within the crown of a tree using a rope and harness. 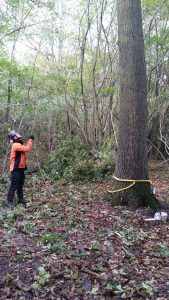 Use lowering ropes and other associated equipment to carry out lowering and sectional felling operations. Undertake a range of arboricultural operations without risk to themselves, other people or the environment. Learners completing this course will receive a Lantra Awards Certificate of Training for Refresher – Arboricultural Dismantling Operations.